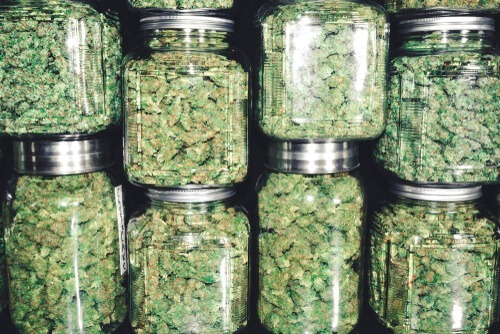 CBN is one of many compounds that contribute to marijuana’s effects on the mind and body. When it comes to the effects of marijuana, compounds like THC and CBD receive most of the attention. But there are many other compounds in marijuana that contribute to its health effects, including CBN. CBN enhances the effects of other cannabinoids like THC and CBD, while also providing its own unique effects. Cannabinoids are a large class of chemical compounds produced by the cannabis plant. Scientists have identified over 113 different cannabinoids in the marijuana plant. Each interacts with the endocannabinoid system in different ways. Cannabinoids interact with the endocannabinoid system through the CB1 and CB2 receptors. This alters cellular functions in the body to create a diverse range of effects. The endocannabinoid system is a key mediator of homeostasis, or balance, in the body. Most of the cannabinoid compounds in marijuana are non-psychoactive. This means that they do not produce a euphoric high when consumed. THC is one of the few cannabinoids in the plant that causes a high. 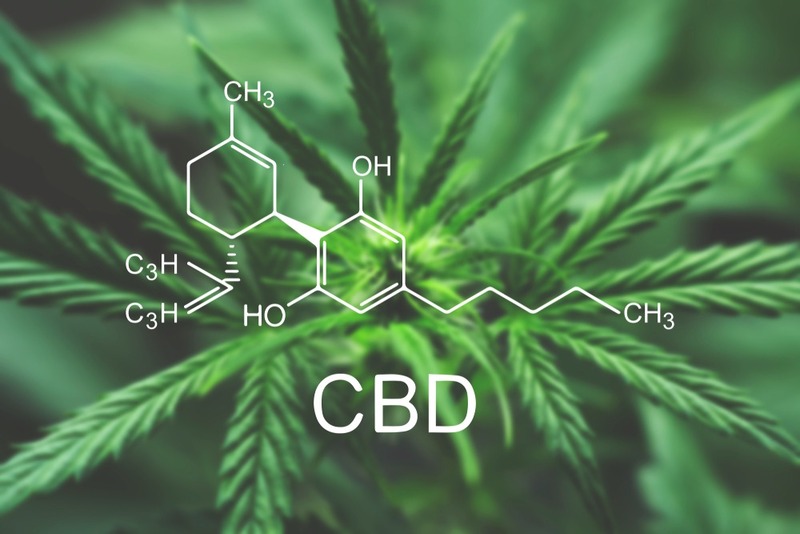 Cannabinol (CBN) is one of the lesser discussed cannabinoids found in marijuana. Even so, it is an important component of the plant. It also interacts with the endocannabinoid system to impact your health. Unlike THC, CBN produces very minor, if any, psychoactive effects. This is because CBN molecules do not fit very well into the CB1 receptors in the brain. It also has some trouble binding to CB2 receptors, but binds better to CB2 than CB1 receptors. Older studies have indicated that CBN may have slight psychoactive properties, while others suggest that it has none. CBN has approximately 1/10th of the psychoactive effects of THC, meaning it would take 100 mg of CBN to achieve effects similar to 10mg of THC. Many cannabinoids are produced through natural enzymatic processes that take place in the plant, specifically within the trichomes. But CBN is not produced in this manner. Instead, CBN is produced by the degradation of THC. This occurs naturally when marijuana is exposed to certain conditions like high temperatures and improper storage over long periods of time. CBN typically occurs in the plant in very small proportions (less than 1%) compared to other major cannabinoids. Despite its naturally low levels in the cannabis plant, CBN has become available as a pure isolate in recent years. Pure CBN can easily be converted from extractions of THC. CBN was the first cannabinoid to be isolated and identified from marijuana. It was first isolated in the 19th century through the degradation of a cannabis extract. But it was not until the 1930s that its structure was identified by British chemist Robert Sydney Cahn. A 2,700-year-old grave in China was found to contain a substantial amount (789g) of CBN-rich marijuana. This cache of cannabis is the oldest sample ever discovered. CBN is produced from the degradation of THC over extended periods of time. So it is not surprising that CBN was the predominant cannabinoid found in these ancient samples. Scientists have found that CBN has strong antibacterial properties. Researchers investigated the effects of five major cannabinoids on multiple strains of MRSA. MRSA is an antibiotic-resistant bacteria known for causing treatment-resistant staph infections. CBN and other cannabinoids showed strong antibacterial effects. The exact mechanism of the antibacterial effects is not yet known. Nevertheless, CBN may contribute to new treatment approaches to MRSA in the future. A 1974 study demonstrated that CBN can be an effective anticonvulsant. An anticonvulsant is a compound that reduces the seizures caused by epilepsy. The researchers examined the effects of THC, CBD, and CBN. They found that each of the compounds displayed strong anticonvulsant properties. THC and CBD were found to display more potent anticonvulsant effects than CBN. But this makes sense, because THC and CBD are generally more potent than CBN. CBN and other cannabinoids act as potent anti-inflammatory agents in the body. Inflammation is a normal and adaptive bodily function, but too much of it is thought to be a cause of illness. Like CBC and CBD, CBN does not interact strongly with the CB2 receptors found on immune cells. Instead, CBN modulates the levels of naturally-occurring endocannabinoids in the body. CBN and other cannabinoids influence certain immune cells to produce their anti-inflammatory effects. They have also been found to alter levels of other compounds that produce inflammation. Researchers have shown that CBN can increase appetite in rat feeding models. When rats were given CBN, they ate more food, more often, and for longer. Researchers determined that this effect was due to CBN’s effects on the CB1 receptor. 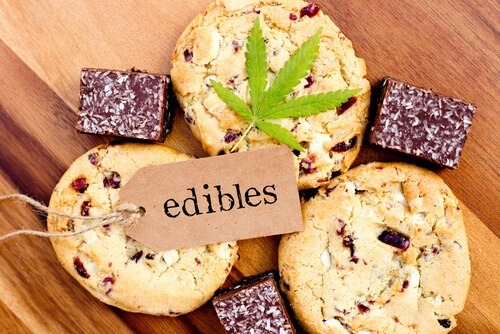 People often use marijuana to increase their appetite. But some people don’t enjoy the high that comes with smoking weed. 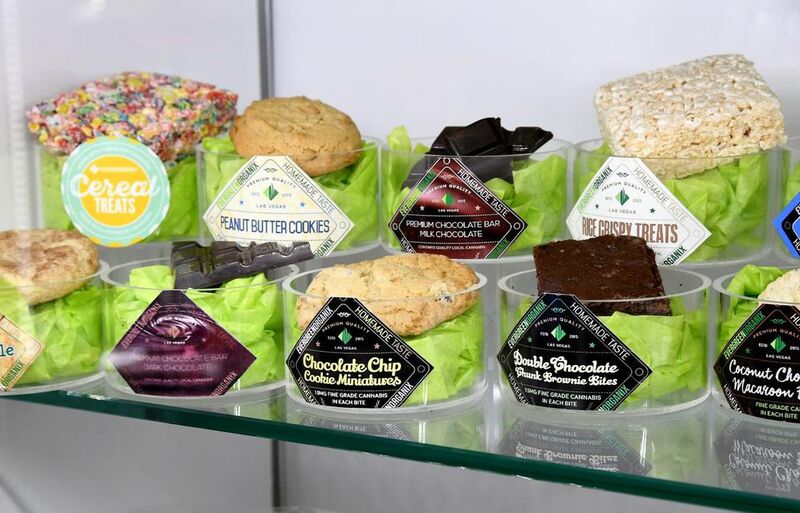 Since CBN is non-psychoactive, it’s a good alternative to THC for stimulating appetite. Many researchers are excited about the anti-cancer effects of marijuana. CBN has been found to reduce the growth of a type of lung tumor known as Lewis lung carcinoma. The anti-cancer effects of cannabinoids are not restricted to lung cancer. CBN and other cannabinoids target the cellular pathways that allow cancers to grow, invade and spread within the body. People often turn to medical marijuana for pain relief and CBN is thought to play a key role in its pain-relieving effects. Much like THC, CBN stimulates the release of small molecules called peptides from sensory nerves. This can act to decrease sensations of pain. Research suggests that CBN’s pain-killing effects are independent of CB1 and CB2 receptors. Instead, experts think it may come from a new, yet-undiscovered cannabinoid receptor. CBN is believed to be one of the most sedative cannabinoids. However, research on CBN as a sleep aid is sparse. One study conducted in 1976 found that CBN promotes sleep effectively when combined with THC. In the same study, subjects who took CBN alone experienced no effects. CBN has also been found to act as a vasorelaxant, meaning it causes relaxation of blood vessel walls. This leads to a drop in blood pressure. CBN’s vasorelaxant effects may be beneficial in conditions like glaucoma. CBN is thought to increase blood flow to the eyes by causing relaxation of blood vessel walls. This increase in blood flow leads to a decrease in overall pressure in the eye. Vasorelaxation may also aid in conditions like stroke, hypertension, heart disease, and hemorrhages. Cannabinoids like CBN may help heal bones by recruiting stem cells from bone marrow. As you may know, stem cells can be converted into many other cell types, such as bone, fat, cartilage and muscle cells. Cannabinoids like CBN also seem to increase fibroblast cells, which play a crucial role in the bone-healing process. These effects may also increase bone formation. So CBN may possibly aid in the recovery of fractured bones as well as other injured tissues. CBN has similar health benefits to other cannabinoids found in marijuana. The major advantage of CBN is that it is essentially non-psychoactive. So CBN may prove helpful for those who do not enjoy the high associated with THC. CBN has diverse applications in improving human health, and it may be used in the future to treat a variety of conditions. What is BHO (Butane Hash Oil)?